Thank you for visiting our website. We hope that you'll find the answers to to any questions you may have; but if you don't, please e-mail or call us. 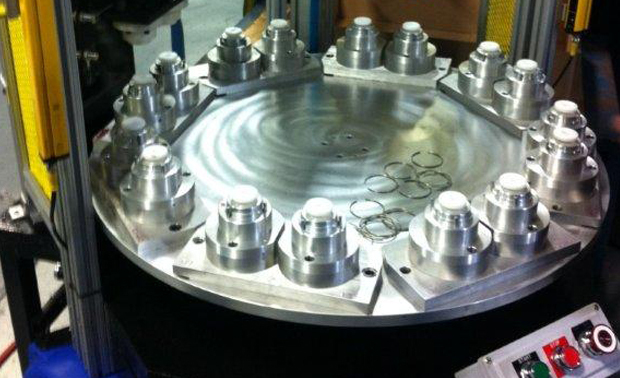 We are eager to assist you in your mold or machining project. And we'd welcome the opportunity to provide you a timely quotation on any of your machining or mold manufacturing needs. Ameritech Die & Mold South has fostered a reputation for quality craftsmanship and on-time delivery. We employ a variety of innovative engineering and machining methods that enable us to meet your specific demands. We believe in customer relationships that grow into partnerships. We succeed when you succeed. We’ve been meeting or exceeding our customers’ expectations for 30 years. You can be one of our satisfied customers, too! State-of-the-art product engineering, development and manufacturing simulation software. Web-based meeting capabilities that allow clean communication from multiple locations. An experienced, professional workforce dedicated to providing excellent customer service. Design collaboration between the customer, management and our experienced engineers, to ensure implementation of the best-possible concept. The end result is the highest-quality products and molds built for the very best value! Our ultimate goal is to exceed our customer’s expectations every day, no matter what the challenge.